Accident can occur anytime. Therefore, it is important to take an extra step to protect yourself against unexpected incidents. 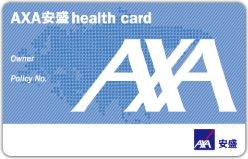 AXA Personal Accident Insurance provides a comprehensive protection to support you and your dependents financially when the unexpected occurs. You can look forward to receiving regular income in the event of becoming disabled after an accident or sickness. This feature would provide relief to you and your loved ones from the financial hardship that inevitably arises at such difficult times. You can upgrade your protection by choosing Disability Income Protection Plus, so that your monthly benefit would be adjusted every 12 months, according to the Consumer Price Index.